Berkeley College has been designated as a Top 10 Military Spouse Friendly School in the nation. More than 1,500 schools were evaluated in the 2017 survey conducted by Victory Media, originator of the family of Military Friendly® employment, entrepreneurship and education resources for veterans and their families. Ratings are determined through the evaluation of both public data about institutions and proprietary data gathered through the Military Friendly® Schools survey. Schools are evaluated in categories including Academic Policies & Compliance; Admissions & Orientation; Culture & Commitment; Financial Aid & Loan Repayment; Graduation & Career Outcomes; and Military Student Support & Retention. The designation comes shortly after Berkeley College earned a 2017 Military Friendly® Award and was ranked a Top 10 Nontraditional School for outstanding commitment to, and programs for, veterans and their families. Berkeley College was also recently named to the Military Times “Best for Vets: Colleges 2017” list for the fourth time, as well as ranked among the Best Online Bachelor’s Programs for Veterans by U.S. News & World Report for the fourth consecutive year, placing at No. 65. 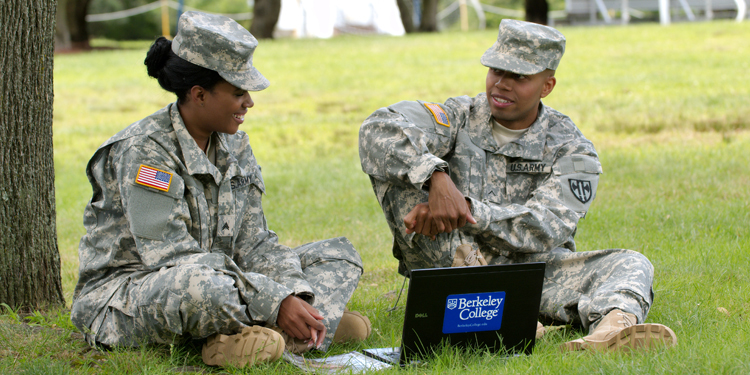 More than 500 military students and veterans are enrolled at Berkeley College in New York and New Jersey, and through Berkeley College Online®. Berkeley College participates in the Yellow Ribbon Program under the G.I. Bill and collaborates on national ventures with the National Guard, the Army and the Air Force, the GoArmyEd distance learning program, and the Navy College Program Distance Learning Partnership. Click here to learn more about the Berkeley College Office of Military and Veterans Affairs. To read stories about Berkeley College students and graduates who are furthering their careers (including U.S. Army veteran Jose Pagan and his wife, U.S. Navy Veteran Alba A. Pagan), click here.